Cinco de Mayo is an annual celebration held on May 5th commemorating the Mexican Army’s victory over the French Empire at the Battle of Puebla, on May 5, 1862. 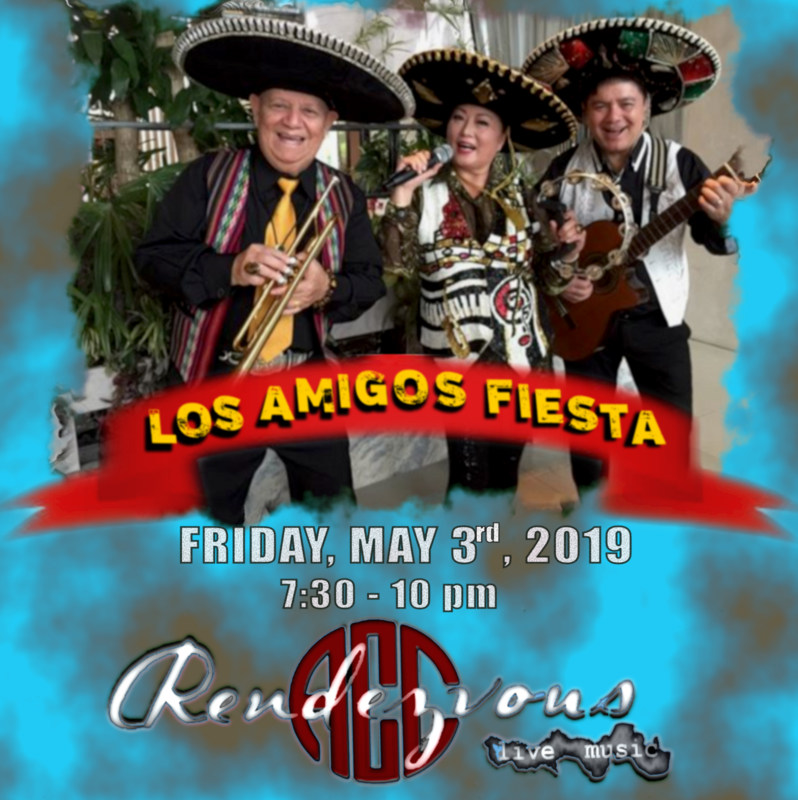 Rendezvous will be celebrating this day on Friday May 3rd with live latin music led by one of ACC’s long-time favorite entertainers Lito Gonzelas with his band Los Amigos Fiesta. Come join us and experience the sounds of Mexico along with Mexican food and drink specials. It’s all happening right here at the Rendezvous, your home for live music entertainment.